Where would I go, and what would I eat? This hole-in-the-wall joint at the corner of Main and Moody streets in Waltham serves up some of the best French Toast and pancakes around. 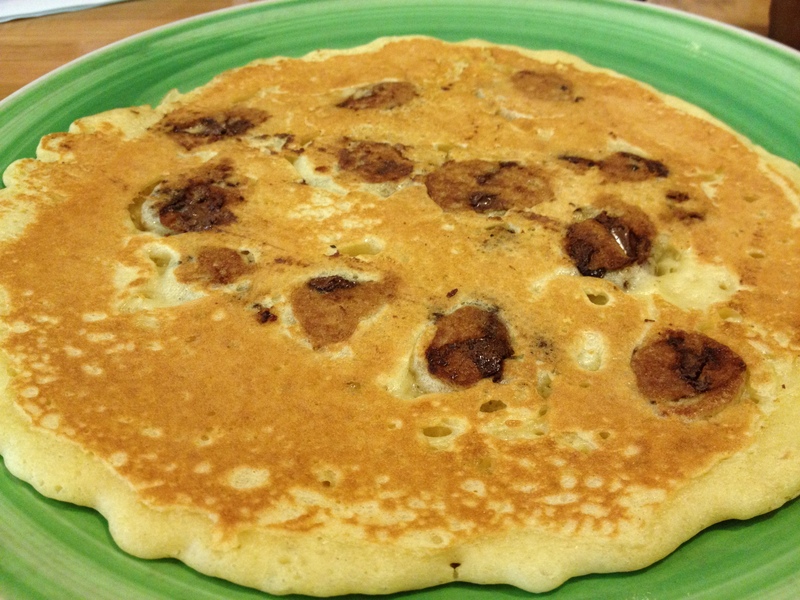 But it’s not just bread and dough: Owner Tim Burke and his staff also make dishes like Nutella Stuffed French Toast and M&M Pancakes, which take breakfast food to a whole new tasty level. This place on Province St. in Boston claims to serve “the world’s no. 1 sandwiches,” and I have no reason to contest that claim. Sure, I’ve only ever had one sandwich there, but man is it ever good. Warm, freshly sliced meat (and a healthy portion of it) on fresh bread … yum. It’s a little on the expensive side (about $10 for the sandwich I get), but it’s totally worth it. Though I no longer work downtown, when I’ve had days off, I’ve often spent them going to lunch at Sam’s. 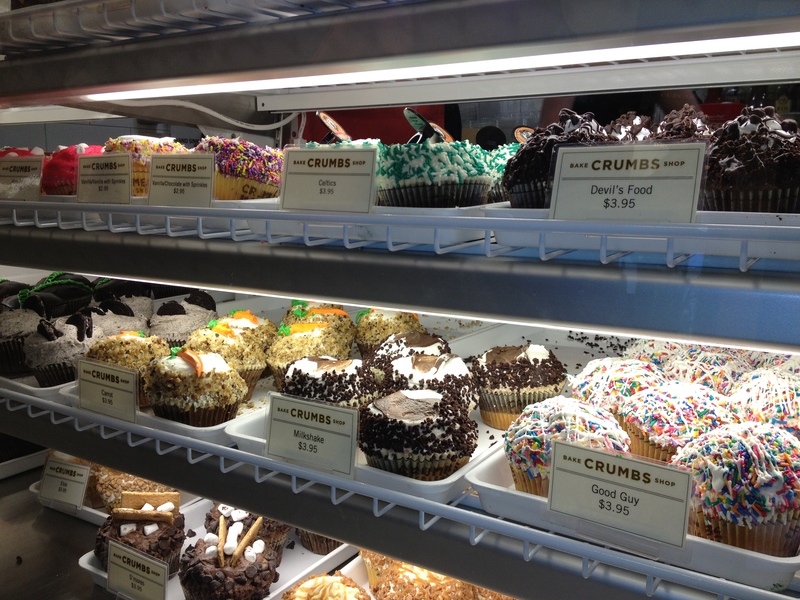 I’ve long considered Crumbs to be the best cupcake place in the land, and thought it a good thing that there wasn’t a location in Boston because I’d be there all the time. Well, that all changed last month when a Crumbs store opened on Federal Street in the Financial District. Great cake, sweet frosting, and enough of both that you have to eat the cupcake with a fork. These treats are dense and delicious, and I fear the employees at the Boston store are going to get to know me a little too well these next few months. There’s no better place to satisfy my carnivorous cravings than the Downtown Crossing location of Ruth’s Chris, located in the old City Hall building. Steak is always served on a sizzling hot plate that keeps the meat cooking, and with a pat of butter on top that helps to keep your steak nice and juicy. (My mouth started watering just writing that.) But it’s not just the delicious food that I love here: The atmosphere and service are both top-notch, with each room small and intimate, and the wait staff always eager to please. Ruth’s Chris is a place to go whether you’re celebrating a special occasion or just going out with good friends. It never disappoints. Never. Where, you may be asking, is Johnny’s Luncheonette in Newton Centre? Good question, especially given how often I eat there. Well, Johnny’s is what I would consider comfort food, and these other places are a bit more, shall we say, indulgent. Johnny’s is good, reliable food. I’d eat there any and every day of the week. These other places I just can’t. Except on this one perfect day of eating. Where would you go on your perfect day of eating? Share your plan in the comments section below.